Concluding another season of air-cruises in Antarctica earlier this year, the attention is on occupancy for Antarctica21, led by Jaime Vásquez Sapunar, president and chairman. 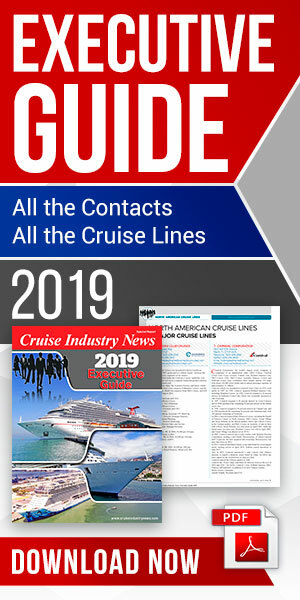 “It was very high, about 94 percent, making it a very successful season,” said Sapunar, in an interview in the 2018 Expedition Market Report by Cruise Industry News. The company is adding capacity to its unique air-cruise program. Next year, full season operations with the Ocean Nova will be complemented by the Hebridean Sky, with the line going from six departures to 12 on the latter ship. Both vessels stay in the fold for 2019-2020, and are joined by the new 100-guest Magellan Explorer, which the company is building at a shipyard in Chile. With a different operational model than most of its peers, passengers are flown to King George Island, eliminating 50 hours of Drake Passage sailing. It’s a competitive advantage, allowing for more time in Antarctica and less time in the potentially bumpy Drake. With owning their own ship for the first time in the company’s 15-year history, Sapunar looked at options for a summer season – operating their own program, or chartering it out, but for now, there are no plans. "The vessel will remain in South America and will not go anywhere. It will have a skeleton crew. We do have some creative plans to extend the season, but only in South America,” he said, adding the risks of chartering the ship outweighed the benefits, at least for the 2020 summer. “We came to the conclusion that it didn’t make sense for the business,” Sapunar explained. Sapunar credited the worldwide economy for helping drive demand, with people opting to spend money on experiences. The line’s largest source market remains America, but Asia is a close second, led by China, Hong Kong and Taiwan. The company will add Chinese-fluent expedition staff for those sailings. Sapunar said it was also common to see larger Chinese groups opt to go for a more international experience and book an English-speaking departure. The company has had a major Chinese presence for seven years. “The Chinese market, when it comes to specialized programs, is quite sophisticated,” he added.